It takes a skilled attorney to help someone through the system to ensure Social Security sees the full picture pertaining to that individual’s disabilities. Jami M. Goldman attended California State University, Hayward where she graduated with a B.A. in Political Science and a minor in International Studies. Prior to becoming an attorney Jami had the privilege of representing NCAA Division III student athletes. As a representative, Jami spoke on the national convention floor on behalf of students and sat on the NCAA Olympic Liaison Committee too. 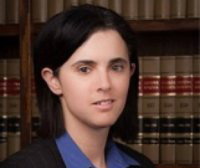 Currently, Jami is a member of National Organization of Social Security Claimants’ Representatives and National Association of Disability Representatives. Goldman Law Group, PLLC is a small general law firm that provides a high concentration of assistance to those needing help with Social Security Disability claims. The firm also handles residential landlord/tenant matters, personal injury, employment termination, judgment collection cases and DUI’s. BusinessInterviews.com: What advice would you give to someone who needs a disability attorney but is anxious of the potential costs involved? Jami: Unlike other areas of law, Social Security disability claims are relatively inexpensive to clients. An attorney is not entitled to legal fees unless they win the case. If an attorney wins the case, the government is supposed to send the attorney fee directly to the attorney. Thus, simplifying the process for the client. BusinessInterviews.com: Can you share how you help your clients navigate the intimidating system of Social Security Disability claims and ease their stress along the way? Jami: The Social Security disability process is a long and stressful process. That being said, another name for an attorney is counselor. A great deal of a good attorney’s day will revolve around counseling a client and simply listening. Often times individuals going through this process simply need someone to listen to their story and what they are going through on a daily basis. As a result of these counseling sessions, a good attorney can become an exceptional advocate for the client. There is a greater understanding of the day-to-day life with their conditions. The attorney can fully advocate ensuring Social Security sees the entire picture for that individual. BusinessInterviews.com: What advice would you give to someone who has just had a claim denied? Jami: Do not let a denial letter deter you. Over 90% of people are denied at the initial level. It takes a skilled attorney to help someone through the system to ensure Social Security sees the full picture pertaining to that individual’s disabilities. BusinessInterviews.com: Can you share a recent success story or one that holds special meaning for you? Jami: I took a case a few years ago and the client was only 18 months old. Prior to being born he was already a ward of the state due to his mother’s drinking and drug problems. He was born with fetal alcohol syndrome, chiari malformation, myelomeningocele, hydrocephalus and dysphagia. It was an absolute pleasure to help the foster family obtain the benefits they desperately needed for him. It allowed the foster family to move forward with medical care and raising a child who was dealt a bad hand at the beginning of life. BusinessInterviews.com: Can you talk about any trends in Social Security disability that could potentially effect claimant’s applications or awards? Jami: The first trend pertains to the men and women who are coming home from the Middle East after serving our country. Social Security is not bound by the rulings of the Veterans Administration, but it can be a big piece of the puzzle. Often times the Social Security record does not have the entire picture from the Veterans Administration. It takes a trained attorney to recognize these holes quickly to help the service men and woman receive the benefits they deserve. The second trend revolves around medical treatment. Social Security looks at essentially two prongs as it pertains to medical treatment. First, does an individual have a medical diagnosis? Second, I call this the “what have you done for me lately” clause. Is the individual receiving regular medical treatment? If an individual wants to have a real chance of winning a Social Security Claim, at a minimum, they must have both prongs. BusinessInterviews.com: What’s the most exciting thing on the horizon for 2015? Jami: The most exciting things in 2015 will occur around growth. The firm is adding the practice areas of personal injury, employment termination and DUIs.